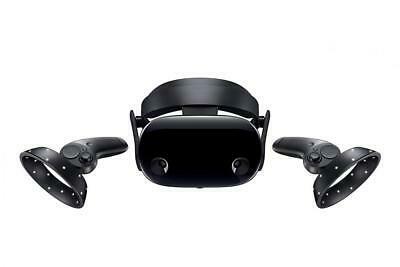 The Samsung HMD Odyssey features a high-resolution AMOLED display which delivers bright, clear graphics. The best way to experience mixed reality is with a new Windows Mixed Reality-ready PC. You’ll enjoy crisp realistic movement, immersive visuals, and spatial audio. Motion controllers are key to the best trips in Windows Mixed Reality. They offer complete freedom of movement and let you interact in a natural way so you can pick up items, use weapons, and control other characters.